A new study has revealed for the first time the last 500-year flood history of the Mississippi River. It shows a dramatic rise in the size and frequency of extreme floods in the past century–mostly due to projects to straighten, channelize, and bound the river with artificial levees. The new research, led by scientists at Woods Hole Oceanographic Institution (WHOI), also uncovered a clear pattern over the centuries linking flooding on the Mississippi with natural fluctuations of Pacific and Atlantic Ocean water temperatures. This newly recovered long-term record provides a historical context that spotlights how more recent river engineering has intensified flooding to unprecedented levels. "The floods that we've had over the last century are bigger than anything we've seen in the last 500 years," said Sam Muñoz, a former postdoctoral scholar at WHOI and the lead author of the study, published April 5, 2018, in the journal Nature. The research shows that in the past 150 years, the magnitude of the 100-year flood–a flood that has a 1 percent chance of occurring in any given year–has increased by about 20 percent. The research team found that about three-quarters of that elevated flood hazard can be attributed to human modifications of the river and its basin. "There's been a longstanding question about the extent to which all the changes we have made to the Mississippi River–one of the most engineered rivers in the world–have altered the probability of really large floods," said Muñoz, now an assistant professor at Northeastern University. To answer that question, the scientists used a technique that WHOI paleoclimatologist Jeff Donnelly pioneered in the coastal ocean to track the history of hurricanes: extracting long cores of bottom sediment from lakes and marshes. "It's sort of the equivalent of sticking a straw in a milkshake, putting your thumb over the top, and pulling it out," said Donnelly, a co-lead on the study. In this case, the "straw" was a 30-foot-long aluminum tube deployed from a small pontoon boat, and the "milkshake" was the mud, sand, and silt at the bottom of three oxbow lakes adjacent to the Mississippi River. During large floods, faster moving water from the river channel stirs up larger-grained sediments and flows into the usually disconnected lakes, carrying sediments and debris along with it. The material from the river is caught in the lakes and eventually sinks. It forms a layer on the bottom that is subsequently buried over time. The layers are telltale clues of past floods. The deeper the cores, the further back in time the scientists can reach. The grain size in the layers provides clues to the size of the floods. The larger the flood, the more energy is generated by the river water, and the larger the grains that get deposited in the lakes, said WHOI geoscientist Liviu Giosan, another lead member of the research team. By analyzing grain size and flood size for known flood events–for example, the Great Mississippi River flood of 1927–Muñoz could estimate the sizes of previously unknown floods represented in the sediment cores. To find out when those floods had occurred, the team used isotopes of lead, cesium, and carbon to date the coarse sediment layers. Zhixiong Shen of Coastal Carolina University used a technique called optically-stimulated luminescence–which determines a material's age by analyzing when it was last exposed to sunlight. Matthew Therrell of the University of Alabama used annual tree rings to reconstruct a detailed record of more recent regional flooding. Combining these methods, the team traced the history of floods back over 500 years–about 350 years further back in time than the oldest written flood records. Next, they compared what they found to records of naturally oscillating climate cycles that affect sea surface temperatures in the Atlantic and Pacific, such as the El Niño-Southern Oscillation (ENSO). 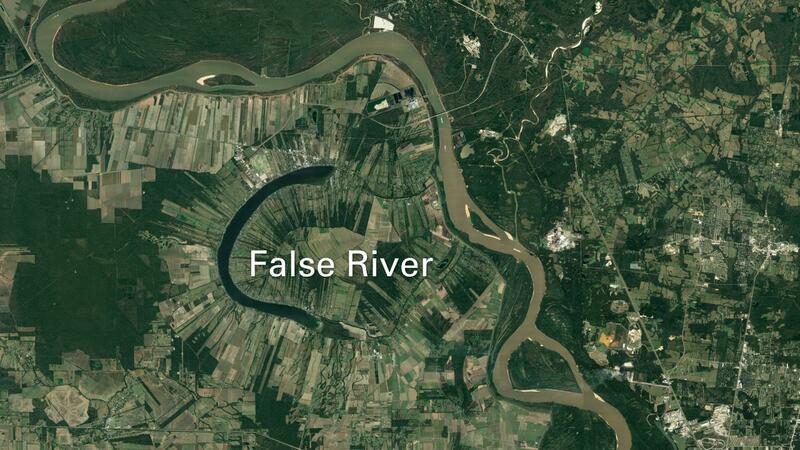 They found that the Mississippi's flood cycles corresponded with ocean and climate cycles. In particular, El Niño events bring more storms and rainfall to central North America, which saturates the ground around the Mississippi. One phase of the Atlantic Ocean oscillation brings extreme rainfall over the Mississippi basin. When the two coincide, flooding is more likely. "We're able for the first time to really parse out how the natural variability of the climate system influences flooding, and then how people have modified that," Muñoz said. The sediment data also showed that the natural rhythm of flooding caused by ocean changes was greatly amplified by major federally-funded river engineering projects that began after 1928 to facilitate commercial navigation on the river and to protect communities and cropland from floods. The societal benefits of river engineering should be weighed against the risks that more large floods pose to agriculture, infrastructure, and communities, the scientists said. In addition, big floods sweep more pollutants and fertilizers into the Gulf of Mexico, causing oxygen-depleted "dead zones." Giosan says restoring more natural flood patterns to the river and allowing sediments to flow onto the floodplain during floods would help rebuild the drowning Mississippi delta, whose planned restoration is projected to cost tens of billions of dollars. According to the team, the next steps will be to dig deeper into the river sediments to extend the flood record even further back in time and to apply this new method to understand what drives flooding on other major rivers systems around the world. Funding for this project was provided by WHOI's Coastal Ocean Institute, Postdoctoral Scholar Program, and Ocean and Climate Change Institute. Support for collaborators at the University of Alabama and Southern Illinois University was provided by the U.S. National Science Foundation Geography and Spatial Science Program.